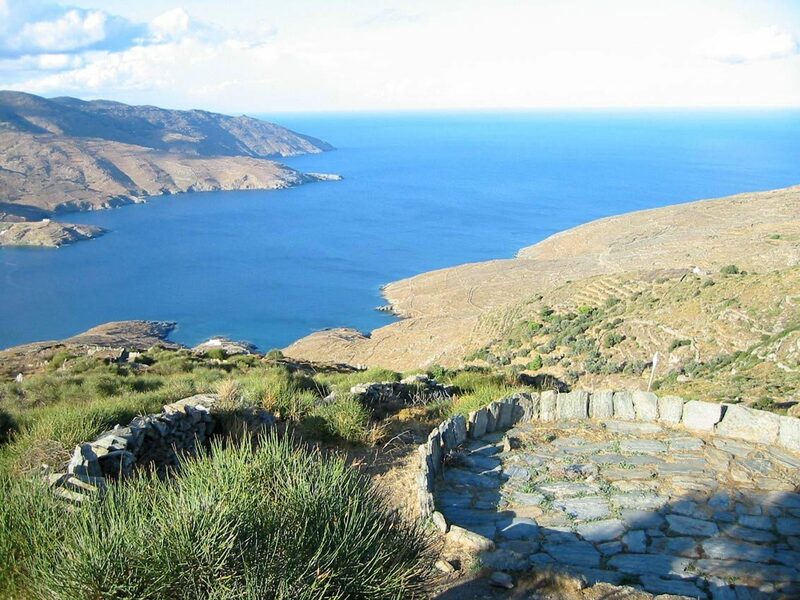 Our dream takes place in Andros, the Northern and second in size island of the Cycladic complex. 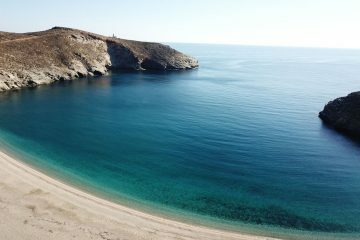 Known as Hydroussa (‘watery’) in ancient times, Andros is a historic heaven on Earth, a fertile place to come and dive for a while. 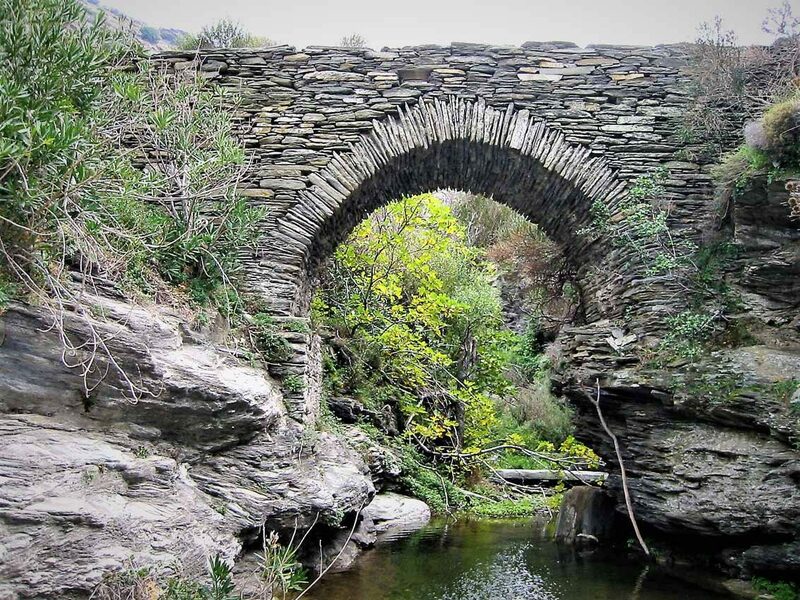 Traversed by four rivers, it’s a fertile island: waterfalls and springs are abundant, marble lions spout ice-cold mineral water, streams signposted by colorful oleanders run from the mountains and cross with ancient stone bridges and footpaths. 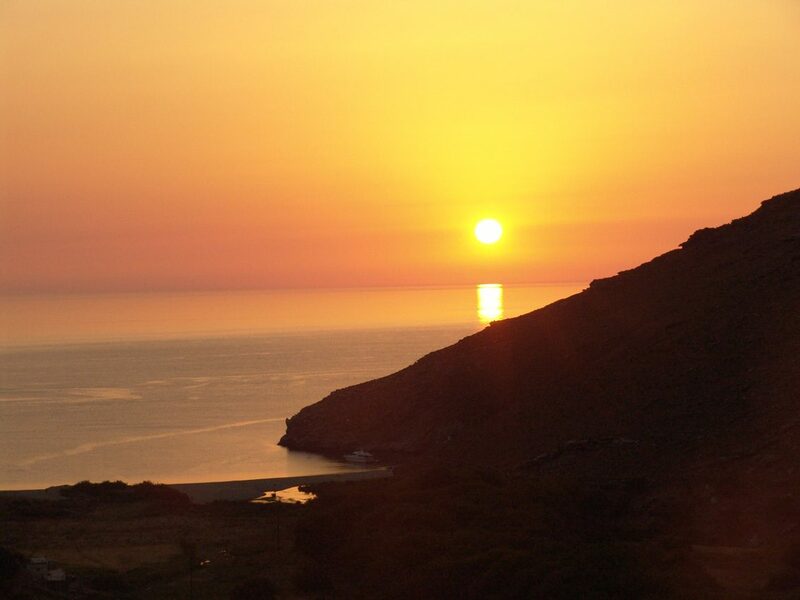 Falcons fly over the valleys and monk seals dive at blissful, blustery beaches. If you seek serenity, you will find it through the peaceful rhythm of the surroundings while exhilarating outdoor activities are waiting for the most sportive souls. 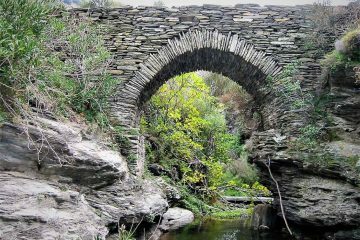 The old pathways of Andros, either stone paved or earth trails, the monasteries, the local recipes, the picturesque villages with their intriguing combination of medieval and neoclassical architectural styles, constitute traces of Andros’ uninterrupted relationship between humans and nature for centuries. 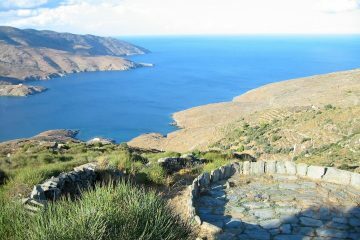 The island’s long history and rich cultural heritage invite you on a journey of discovery: the fortress-like Panachrantos Monastery, the view from Faneromeni Castle, the Goulandris Museum of Contemporary Art in Chora, the old-fashioned patisseries of the capital and the stylish boutiques are some of the intense and mysterious experiences we suggest you. 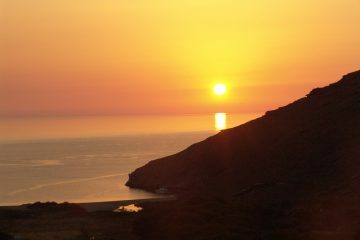 Unaffected by the passage of time, a jewel glimmers in the heavens of the Mediterranean. 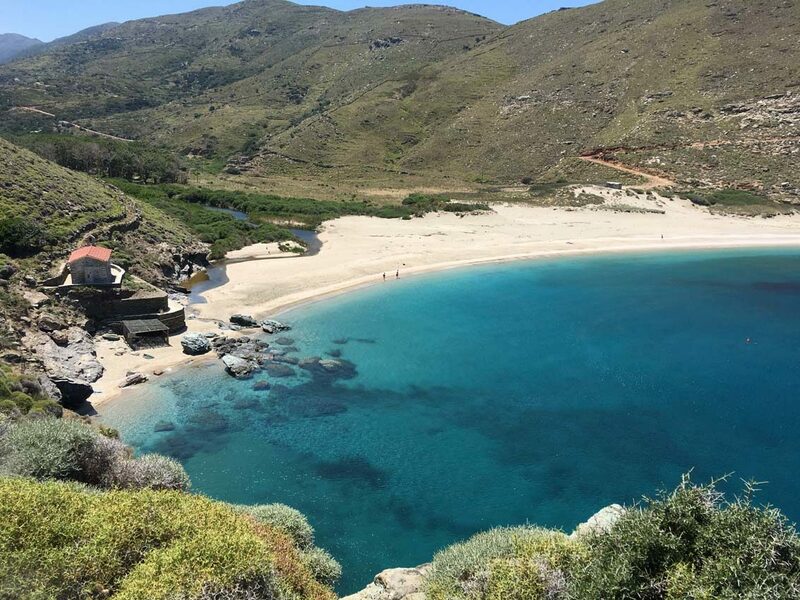 In a land where legends loom large, there’s something magnificent about a little enigmatic bay where the waters always remain calm, migratory birds find their biotope and St. Nicholas Church and the lighthouse stare at the sea. 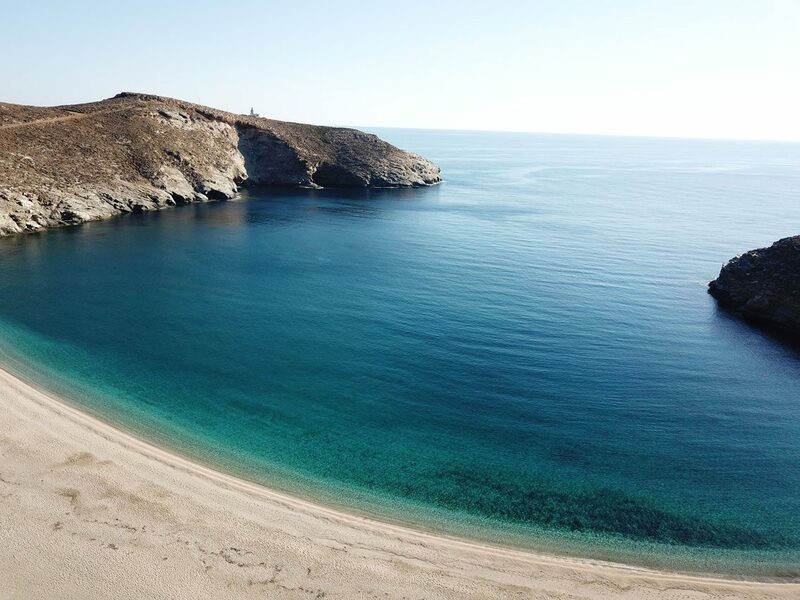 The beach of Ahla, located in the homonymous region in northeastern coast of Andros, is one of the most beautiful beaches in Greece, a benediction of brilliant tones and iridescent shadows, fine, white sand and emerald waters. This gem cocoon reveals itself as a hidden paradise on earth after a crossing through dense vegetation, enormous plane trees, small waterfalls and little lakes. 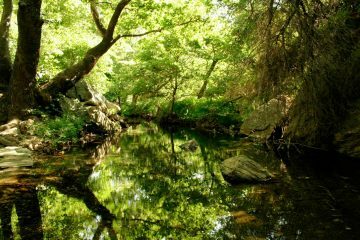 Unforgettable experiences arise by walking through the forest, swimming in the natural ponds and discovering a place full of unique creatures as river crabs, turtles, hares, partridges, rare migratory birds and colorful dragonflies. Come, start to explore and unwind. 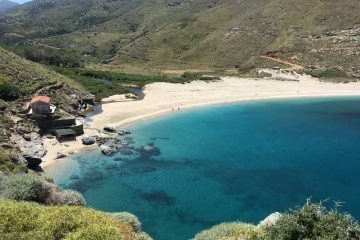 With its magical moving beauty, made of nature, silence, history and values, Andros is a sort of dream. 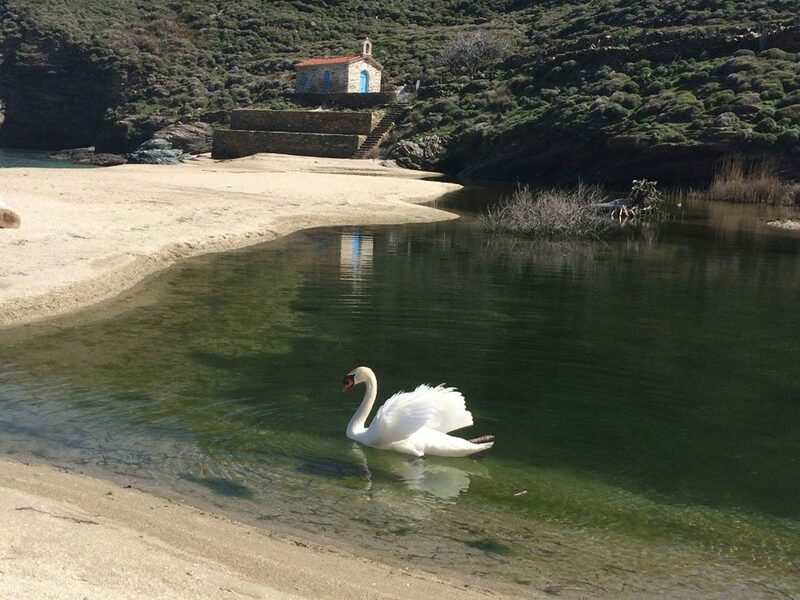 On its east side, north of the cosmopolitan Chora, lies a rare and protected wetland bordered by a river which flows down from the hill sides around Vourkoti village and ends its journey at Ahla beach. In this enchanting place where the river meets the sea we created ONAR, a small settlement of ten traditional insular cottages , and what seem s like a dream, unravels into reality. Honouring the harmonious marriage between nature and human touch, the respect of this dreamy environment always pervades each of our choices and suggestions. 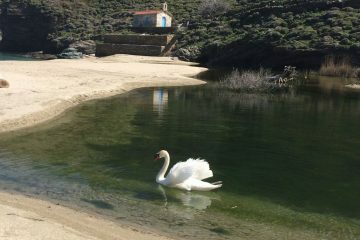 At Onar, all the House mirror the silent beauty of Cycladic architecture and are realised with local stone, wood and river reeds. 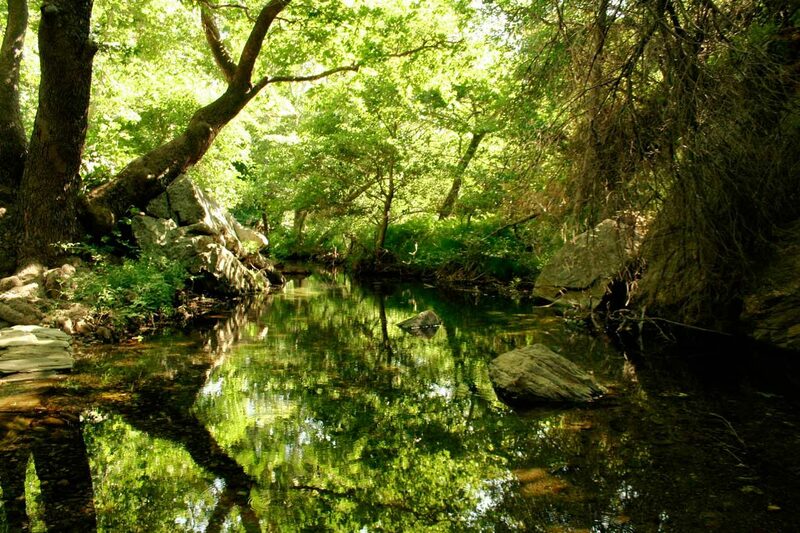 Amenities are inspired by nature and produced with the pure Greek olive oil and its. 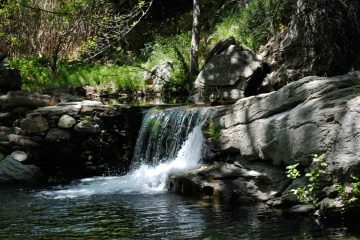 Freshness, peace, stimulation, liveness and invigoration are some of the senses that will overwhelm you. Our sincere Greek hospitality brings life through the different structures and we invite you all to our communal feasts of just-caught fish and garden-fresh organic greens served under a giant plane-tree. Be part of the dream! Connect yourself to the natural environment and enjoy our simple and honest hospitality. We make your dreams come true.